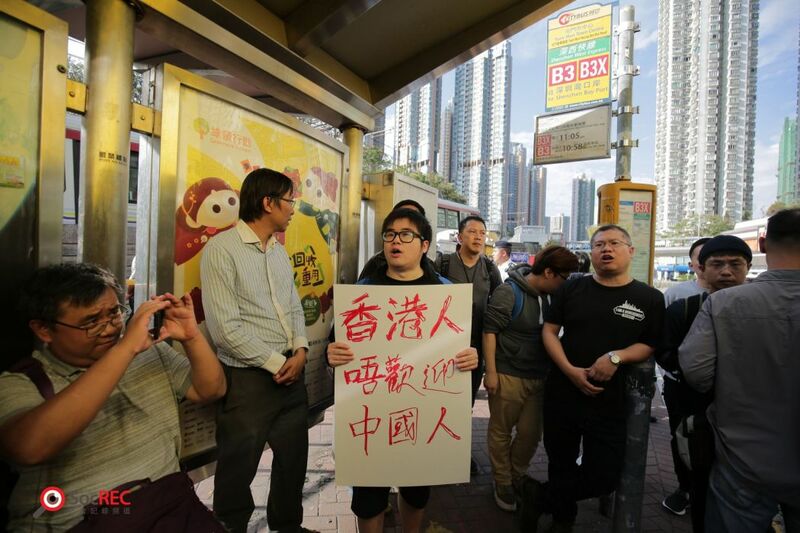 A population policy concern group staged a protest at a Tuen Mun bus stop on Sunday where mainland tourists often gather to return to Shenzhen. 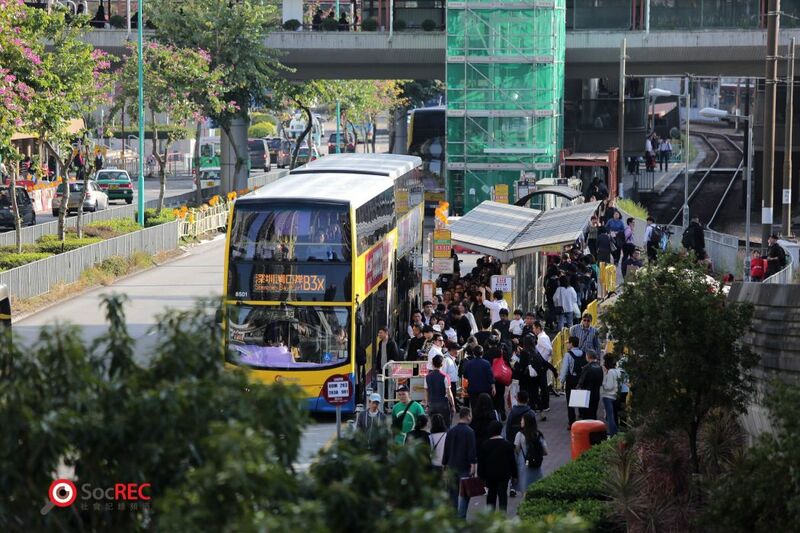 Population Policy Concern Group demonstrators urged tourists not to visit Hong Kong as they gathered at the cross-border B3X bus stop. 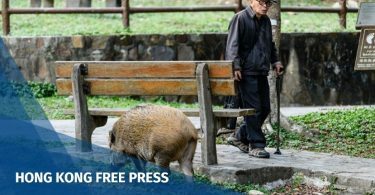 Lance Yan, convener of the Tuen Mun Siu Tsui Concern Group and a member of the Population Policy Concern Group, said he had lived in Tuen Mun for more than 30 years and saw how tourists had changed his area. 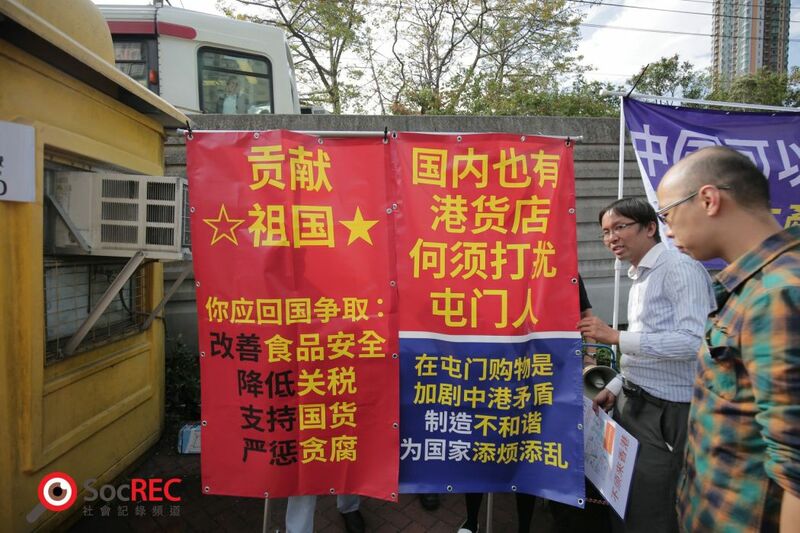 The protesters held banners that read “buses are not trucks,” “China also has Hong Kong goods stores; no need to disturb Tuen Mun people,” “China should reduce tariffs so Chinese have no need to shop in Hong Kong,” among others. Yan said mainland tourists had learned to go to his area of Siu Tsui – distant from the town centre – to buy everyday retail items. He also said some tourists not only shop in Tuen Mun, but also take buses from Tuen Mun to other areas such as Mong Kok and Causeway Bay. Of the 65 million tourists who visited Hong Kong in 2018, 78 per cent were mainland tourists – an increase of 17.8 per cent compared to 2017. “Even with the ‘one week one tour policy,’ the number of mainland tourists still increased,” Yan said. In April 2015, China limited the number of visits Shenzhen residents can make to Hong Kong to one per week. Yan urged the government to ask for a new policy whereby mainland tourists can only visit Hong Kong once a month. He said he welcomed the protests, as long as they stayed peaceful and reasonable. 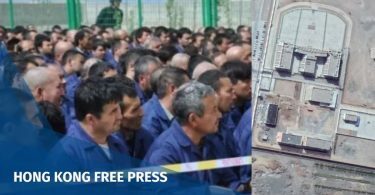 However, a tourist from Beijing surnamed Yu told the newspaper that he had the freedom to visit the city: “Would it be good if Hong Kong people got shouted at in Shenzhen?” Yu said. Yu added that the Hong Kong government should adopt more measures to ease confrontations between Hong Kong and Chinese people. Around an hour after the protest started, a man joined in with a banner that read “Hong Kong people do not welcome Chinese people,” and swore at tourists. Police officers escorted the tourists onto buses. 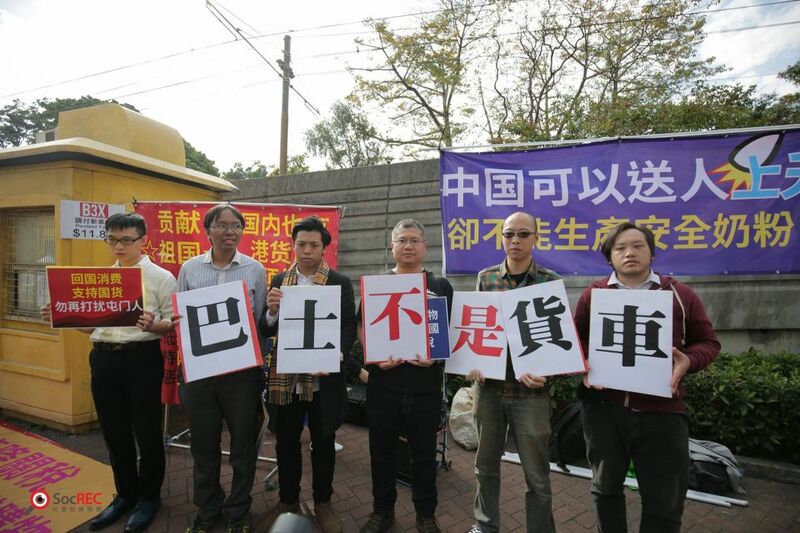 District Councillor Roy Tam, a member of the Population Policy Concern Group, said the man was not related to the protest organisers, but he would not stop the man from protesting unless there was a physical clash. The demonstration ended around two hours later.